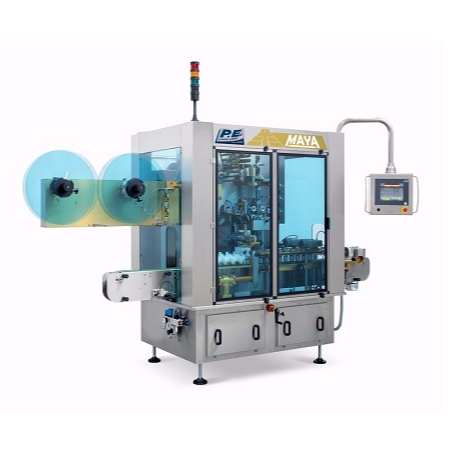 PE Labellers develops and manufactures rotary labelling machines for applying sleeves, cold bond, hot-melt, adhesive or roll-fed labels or a combination thereof. With an install base of 10,000 machines worldwide, this company is one of the global market leaders for labelling machines. This excellent company is typified by full vertical integration, with about 90% of production occurring in-house. Don’t hesitate to contact Seamco if you have questions regarding labelling machines.